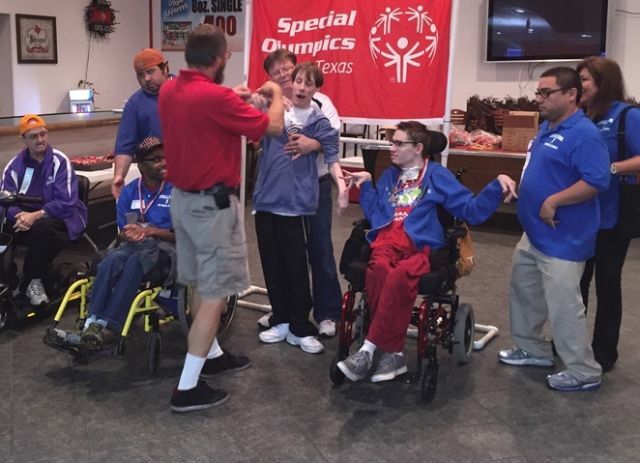 Special Olympics Award Dallas Knights: Service Organization of the Year! The Dallas Diocese Chapter was awarded a very nice plaque and honor as Special Olympics Area 10 “Service Organization of the Year.” This is a great tribute to the outstanding service being given by our Knights in the Dallas Diocese. Diocesan Deputy Roger Scott and Special Olympics Chair Phil Coup wish to congratulate and thank all members for your support of the Special Olympics and our brothers who give so much time to these events.